I have included several pictures illustrating each point, but there will be a lot of text, so please read carefully. This post will hopefully show you how to request that various editions of one book be combined onto one page. This is important because reviews are tied to the editions. So if you have 50 editions of Harry Potter and the Chamber of Secrets and they are NOT combined, the reviews for each will be scattered all over the site. If the books ARE combined, all the reviews will be on the same page for ease of perusal. 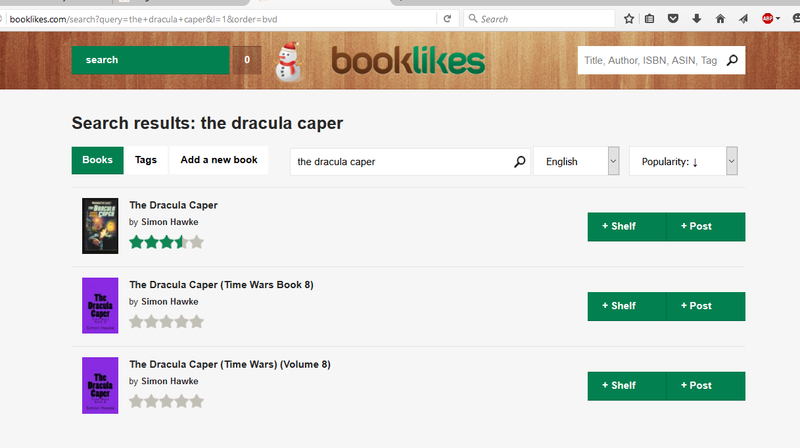 1) Search for a book on Booklikes. This can be by title alone, but the best way is to search by ISBN number and/or ASIN. If multiple titles come up in your search by title, Editions will need to be combined. A) I use Amazon to find the various editions with all the isbn's and asin's. 3) The Report Form will pop up. A) From the dropdown menu, select the "Duplicate or Needs to be Combined"
4) Now you need to select each books URL. This will involve multiple tabs and multiple copy and paste operations. Copy the URL, using Control C on your keyboard if you are using a Windows machine. 5) Now you will need to paste the URL's into the Report Form. librarians won't know what to combine. B) After all URL's are entered, click on the big green "Send Report" button. 6) Now it will go into the Librarian Queue and it is out of your hands. C) The Librarians are volunteers. Be Kind. Next weekend I hope to do a PSA on how to edit a books information. Please let me know what was, or wasn't helpful, in this post so I can try to incorporate those suggestions into the next one.